This week [April 11, 2003] marks the 100th anniversary of the opening of The Boyd Club. The club opened on April 7, 1903. This anniversary brings about thoughts of the two boys that have been memorialized by the building. Though from two different generations, they will always be remembered by this community – one a popular Nordhoff graduate and the other a young Thacher student. In the beginning, when the community was young, The Thacher School was already making quite a name for itself. Its respect was spreading across the country and the school was growing fast. One of the younger students was a boy by the name of John Franklin “Jack” Boyd Jr., and he happily joined in all the school activities, including horseback riding over the trails that led into the mountains from the school. In 1902, while on one of the many rides into the surrounding hills, the students were caught in a sudden rainstorm and were thoroughly soaked. They raced back to the school at a gallop to find a dry place and to rid themselves of their wet clothing. Only one student was to come down sick, and it would be a tragedy, his heart, which was weak, could not stand the strain, and the young man, Jack Boyd, died. Boyd had been so well-liked by the other students and was so happy at the school that his parents decided to honor him with a memorial. Sherman Thacher, the school’s founder, suggested that perhaps they might wish to construct a building in the village for the use of the people of the valley, as he felt that the community needed many improvements and that the Thacher students “had too much already.” The Boyds were reluctant to take Mr. Thacher’s proposal and established an English literature prize at the school instead. Finally in 1902, after continued insistence by Mr. Thacher, the Boyd family gave $2,500 toward the memorial structure, to be built in the small village, and Mr. Thacher raised the remaining amount needed to construct the Jack Boyd Memorial Club building. Jack Boyd’s father, John, had become wealthy when he and his two partners struck gold at the Bonanza Mine in Bodie, Calif. John Boyd and his wife, Louise, had three children. The first child was named Seth, the second boy was John, named after his dad and called Jack, and the third child was named Louise after her mother. When Jack Boyd was a small child, his mother inherited her bachelor uncle’s estate. The estate included 4,700 acres in Diablo, mining interests in the Sierras and considerable property in San Francisco. The Boyds built a large Italianate mansion with a separate gaming house, now the Diablo Country Club, and a mile-long race track for their 400 trotting horses. The perfect life of the Boyds changed when, without warning, young Seth died in his sleep. 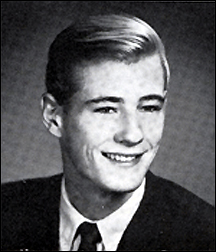 Eight months later John Franklin “Jack” Jr. died while at The Thacher School. Both had damaged hearts as a result of rheumatic fever as children. Young Louise Boyd was left the only child of the devastated parents. In 1905, Boyd Park was given to the city of San Rafael as a memorial to the two young boys. Parents John and Louise Boyd died in 1919 within a few months of each other. The daughter, Louise Boyd, was left the sole survivor of the family. In 1924, Louise took an ocean voyage to the northern ice pack and was so inspired by the grandeur, she financed an expedition to the Arctic. During her first expedition she began to see the majesty of the unexplored icy wilderness and became interested in the lives of the native Eskimos. Louise was the first woman to cross the rugged dangerous ice caps of the North Pole, and she was called by a London newspaper, the “Girl Who Tamed the Arctic.” During the 1930s, she led several ship and dog-team expeditions along the east coast of Greenland and ventured farther north than any other American explorer. During her life, she made eight Arctic expeditions. During World War II, she served as a chief advisor to the U.S. War Department on the terrain of Greenland and Spitsbergen. In 1954, at the age of 67, she chartered a DC-4 and made the transpolar trip, and in 1960, she became the first woman to be elected to the American Geographical Society’s chief policy-making board, and also served 20 years as a director of the San Francisco Symphony. Denmark awarded her the King Christian X Medal and she was elected a Chevalier of the French Legion of Honor. She was also a fellow of the Royal Geographical and Royal Horticultural societies. In 1972, Louise Boyd passed away in San Francisco at the age of 84. 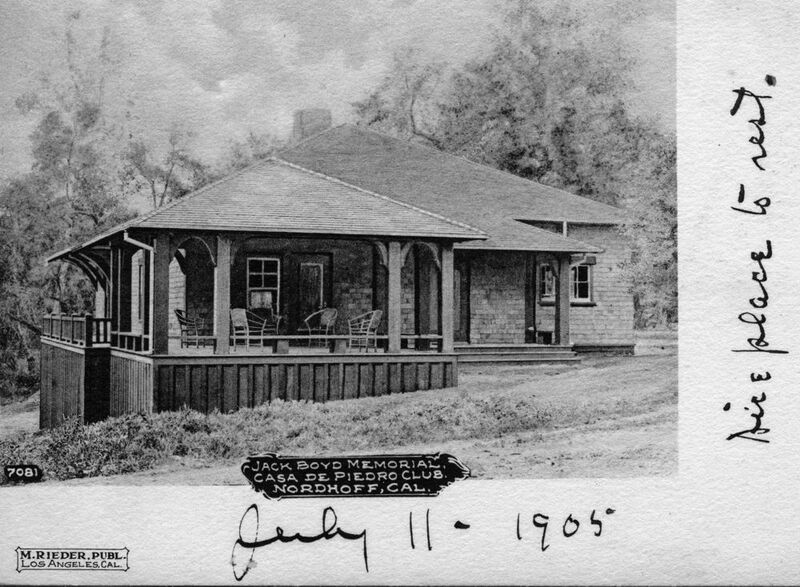 The men’s clubhouse in the town of Nordhoff, now Ojai, that was built in honor of Jack Boyd was the center of activities for the young community. The building had a large reading room that was supplied with books, magazines and newspapers. It had a room for card playing and a pool room, a writing room, well-stocked with free stationery, bathrooms and a committee room. In June of 1904, The Jack Boyd Memorial Club initiated “Ladies’ Night.” It was voted to observe this special night on the Friday evening of each month preceding the full moon, and to continue until further notice. The ladies were also given free and exclusive use of the billiard and pool tables on these occasions. In 1913, a gymnasium with showers and lockers was built through the generosity of Charles Pratt. The club membership dues were 50 cents a month. From the start, the clubhouse was a popular meeting place. The valley men would go there to discuss the town’s problems, hear lectures and play games. In 1915, there was a movement to allow poker playing, with the stakes being paid in cigars, but Mr. Thacher once more stepped in and said of the building rules, “almost the only restriction being that there should be no gambling and no drinking, so that it might be a place where every decent member of the community might feel at home.” The poker idea was dismissed. The Boyd Club played a big part in the development of the town. During the flu epidemic of 1918, the clubhouse was used as a local hospital. It was a disaster center during the floods of 1938 and was used for the U.S.O. during the early stages of World War II, operated by a group of valley residents wishing to do their part. In 1945, local teenagers took over The Boyd Club, since the men of the valley had gone to war and were no longer using the building, turning it into the Topa Topa Club and referred to it as Teen Town. They conducted many fund-raising events to keep the club open, and they took over the responsibility of maintaining the building. Reluctantly, within the year, the young people had to give up their ideas. Their fund-raising efforts were just not paying off, and the valley residents were unable – or just did not want – to help. For the next decade, The Boyd Club on Ojai Avenue was a reminder of another era. The laughter and the support gained through its walls were silent. The need for the Bank of America to build a new and larger building finally decided the fate of the clubhouse. In 1957, The Boyd Club building was moved down Ojai Avenue and up Park Road to Sarzotti Park to find its final resting place and became part of the Ojai Parks and Recreation Department. The building attracted another era of local residents, the children in the surrounding neighborhoods found a new place to “hang out.” The Boyd Club became once more a happy environment of healthy activities. In the late 1960s, one ambitious young man, Chad Charlesworth found the ideal summer job, working at The Boyd Club. Chad was born in the Ventura Community Memorial Hospital on Jan. 5, 1948. He was raised in the Ojai Valley and was well-liked by everyone who knew him. He had been a popular student at Nordhoff and graduated in 1967, then continued on with his education at the Junior College in Ventura. Chad loved working at The Boyd Club, he was especially interested in the children who arrived each day, for he knew that while they were enjoying themselves at the center, they were staying out of trouble. Chad and the children had a mutual respect and love for each other. Chad continued to work at The Boyd Club until his country needed him to help with the Vietnam War, and he was drafted. He was a good soldier, practicing the same mutual respect and love he had shown the children, except that this time it was for his fellow servicemen, working diligently and conscientiously to do the best job he could. In February of 1970, the news that a family and a community dreads the most, was received in the valley. 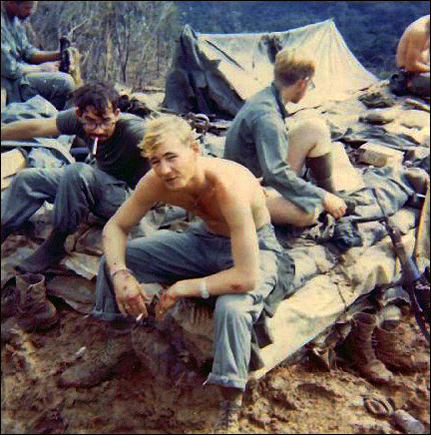 The popular and well-liked Chad Charlesworth had been killed in savage fighting on the Ho Chi Minh Trail. He was one of the first valley boys to be lost in the war. The sadness was felt by everyone in the community and a group of his friends decided that they wanted to create some type of memorial. To honor Chad, for all the love and inspiration he had brought to the many children that he had come in contact with during his years at The Boyd Club, the city of Ojai’s Recreation Department was pleased to have The Boyd Club’s Recreation Room dedicated in his memory. The final letter that Chad wrote to his family, included a beautiful poem he wrote to his mother. “A soldier’s mother worries when he goes to war. or if she will see him anymore. She knows he doesn’t want this war. He is fighting for a freedom Their lives. I don’t want this war, but people hear my voice. my mother’s right of choice. So if I should die in combat, Mother, please don’t weep. than die while I am asleep. My only comment, David, correct me if I am wrong. Chad would have been born at E.P. Foster Memorial Hospital. 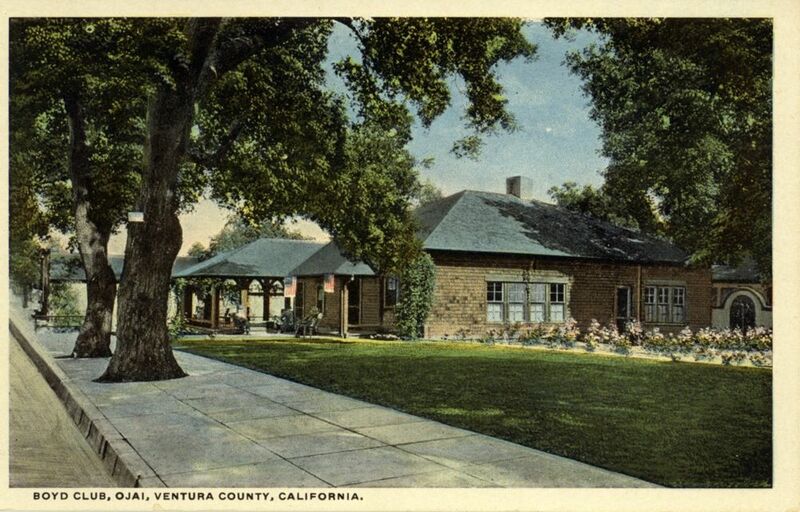 It didn’t become Ventura Community until a later date. Spent a lot of time at the Boyd center. My family had a home that backed Sarazotti Park. I remember the long summer days at the Boyd center and all the fun we had with our childhood friends. Chad was a naturally good guy, he use to help us younger kids a lot. I also remember him thumping on us to…. All in fun. It all seemed like fun in those lay back Ojai days. I can barely remember it, but I do remember when the Boyd Center was located in downtown Ojai. I remember my mother (Arlou) refer to it as “Teen Town”. Mom moved to Ojai when she was a high school senior and, of course, she frequented the Boyd Center. I was six years old when the Boyd Center was moved. At the time, I lived on E. Aliso Street which links to Park Road. My buddies and I ran alongside the slow moving truck that transported the Boyd Center up Park Road to Sarzotti Park. We even went under the building when the truck stopped. Chad Charlesworth lived on the west-side of Shady Lane with his parents when I lived on East Aliso Street. The rear of the Charlesworth’s property backed up to the Southeast corner of Sarzotti Park. In fact, they had a rear gate that us neighborhood kids used to visit Chad and his family. Chad was only 3 1/2 years older than me and was always nice to me. I really thought he was a cool guy and I looked up to him. One of the reasons why I thought Chad was cool was because he had a cross-bow that he let me fire. Of course, I remember playing with Chad’s little brother, Al, too. And, it was always a treat to climb inside the huge old Oak Tree in their backyard that was hollow inside. I agree with Susan Roland. My daughter was born at Foster Memorial Hosp. in Ventura, May 2, 1950. It was still Foster Memorial when we moved from Ojai in 1951. 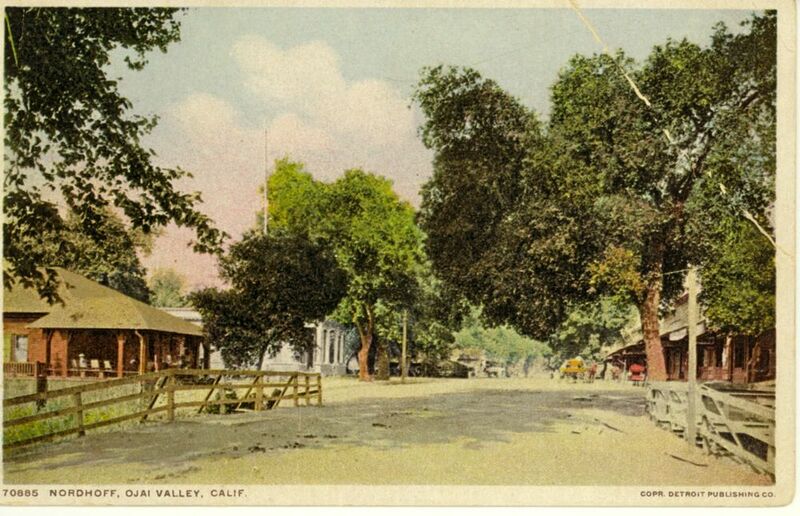 I lived as a young bride in Ojai from 1946 to 1951 and really did not know the history of the area well. We lived at the corner of Oak and Drown and I remember quite vividly the fire of 1948 that came over the hills from Matilija and into the west side of town. We had packed our car for evacuation but the wind changed and we did not leave. Friends of ours lived on W. Eucalyptus and moved their belongings to Ventura. Lots of memories for me in my “Golden Years”. And in the 1970’s I was involved in the Steering Committee to build the gymnasium that now stands just behind the Boyd Center. It continues to draw the valley’s kids. Thank you, Richard for this lovely article, the poem brought bittersweet tears to my eyes, seems that happens more as we grow older. It serves as a perfect illustration of the young man I was blessed to meet.